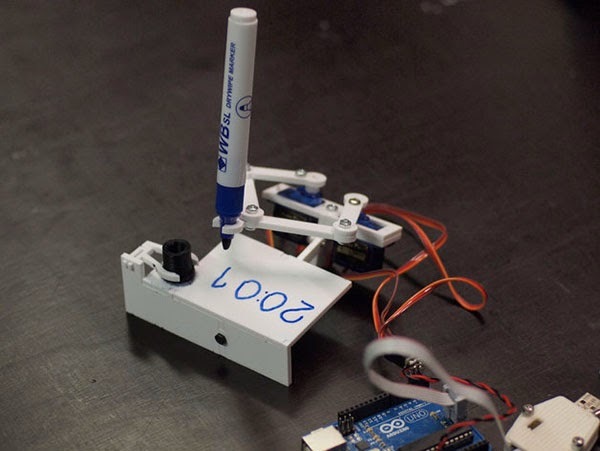 A fun robotic clock that continuously writes the time, using a dry erase marker on a small white board, then erases it. The clock was designed by Thingiverse member Joo, also known as Johannes from Nuremburg. Plotclock is powered by an Arduino board and three servo motors which control the movement of the arms. You can build your own by following the instructions here.